I wanted to provide an updated Lewisville Lake Fishing Report today. Lake Lewisville offers Sand Bass, Large Mouth, Blue Catfish and Hybrid Bass fishing. We set out for some fishing around 11 am on the hunt for the Super Bowl fish fry. Today’s target was Sand Bass. We fished in water from 10-15 feet deep targeting docks and shallow structure. We caught around 200 sand bass in around 3 hours. Fish are ranging in size from medium to extra large. 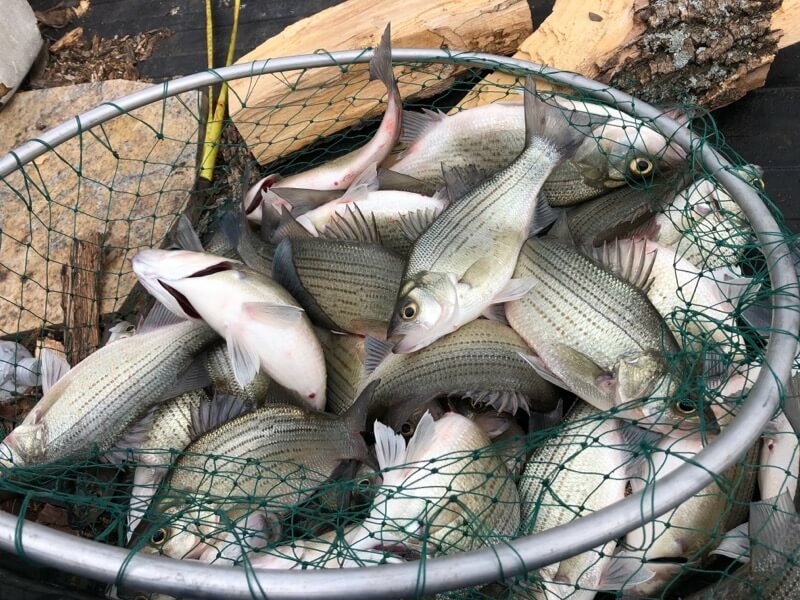 Limits for Sand Bass on Lake Lewisville are 25 per person per day. The bite was best early morning. On a good day, easy limits can easily be achieved on this lake. If you’re looking for a fun activity for your kids and family, come fish with me today. We had an excellent day of fishing out on Lake Lewisville Lake today. We got our numbers on Sand Bass. I fish Lake Lake Lewisville, Ray Hubbard, and Lake Grapevine. I can provide your guide service at the lake you prefer. Call me today to catch fish.